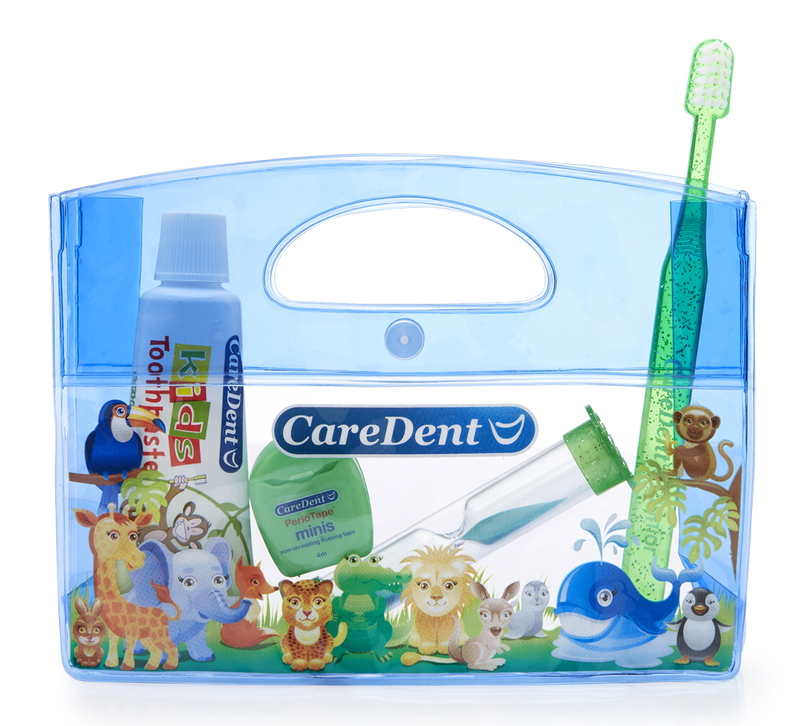 CareDent Kids Kit is an oral care animal kit for kids. It is perfect for taking on long trips or family holidays and the sturdy bag can also be kept for future use. The kit includes: Sparkle Junior Toothbrush, PerioTape Mini Flossing Tape (4m), Kids Soft Mint Toothpaste (24g), Sparkle Kids 2 Min Timer and Kids Stickers. Colourful and fun, it encourages improved ongoing oral health. Available in Pink or Blue.